Not gonna lie. We were skeptical about making homemade mac and cheese in the Instant Pot. Also not gonna lie, though: We were wrong to be skeptical. Instant Pot mac and cheese is fast, easy and fabulous. Our version packs all the classic homemade stovetop mac and cheese flavors and textures. You'll love it, promise. Aged Gruyère, extra-sharp cheddar, and Parmigiano Reggiano offer the perfect combination of flavors. 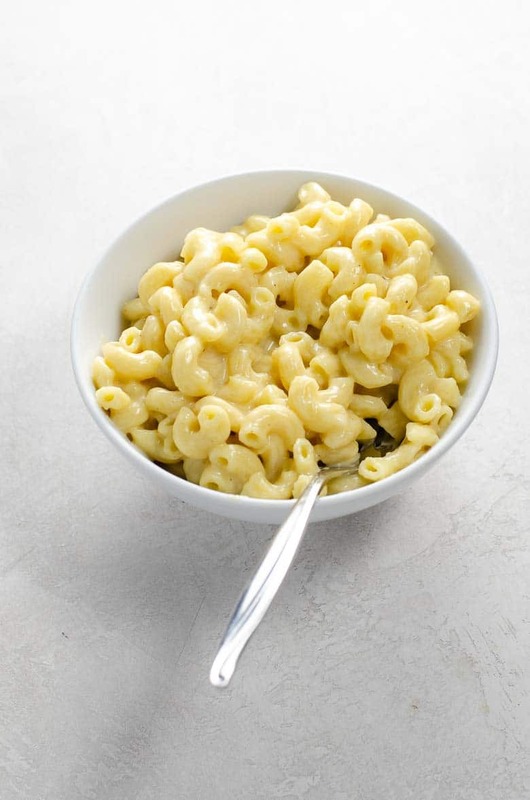 Why make our Instant Pot mac and cheese recipe? 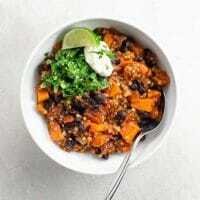 We are very picky about our Instant Pot recipes, since we like to cook and don't mind using the stove. 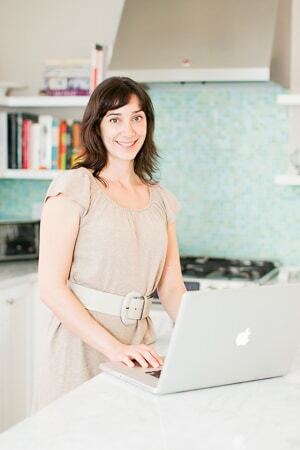 In order to be IP-worthy, a recipe needs to fit three criteria: first, you have to be able to place all the ingredients in the pot at once and walk away. Just because you can sautée in the Instant Pot does not, in our minds, mean you should. 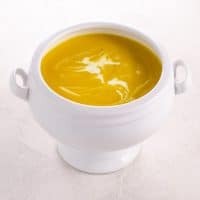 Second, the recipe needs to have long-cooking ingredients that truly cook faster in the Instant Pot, even when you account for the time it takes for the IP to come up to pressure. And third, there can be zero loss of flavor, texture, or authenticity based on the use of the Instant Pot. 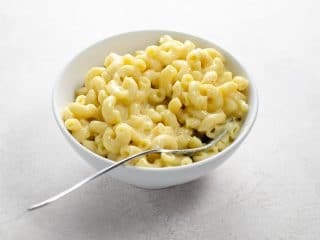 As a little bonus, while not light by any means, the method here results in a rich and creamy mac and cheese that's a little less full of fat and calories than homemade macaroni and cheese made with a traditional béchamel sauce. Use a 6- or 8-quart Instant Pot or other electric pressure cooker. 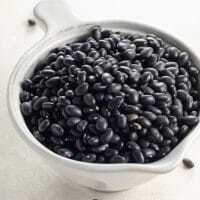 With pasta (along with legumes and some other ingredient types), you don't want to fill the IP more than halfway, since the contents will grow and foam up a little as they cook, and nobody(! anywhere! ever!) has wanted to clog the valve of a pressure cooker. In a 6-quart Instant Pot, you'll have plenty of room. Use good-quality ingredients, especially since there are only a few. 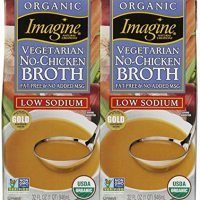 For vegetable broth, to us, that always means Imagine No Chicken Broth, which somehow magically has the flavor profile of a good chicken stock rather than being weirdly red and tasting tinny or sweet, as some other vegetable broths can do. (Or, of course, you can make and freeze your own vegetable stock as an occasional kitchen project.) Or, if you aren't concerned with making this recipe vegetarian, a good chicken stock would work well too. Good quality extends to your cheese selection, too. Really good Gruyère and Parmigiano can be a little pricey, but they make a big difference in how flavorful your mac and cheese will be. The combination of milk and sour cream is a trick we've long used in various versions of mac and cheese from boxed (ahem) to homemade. 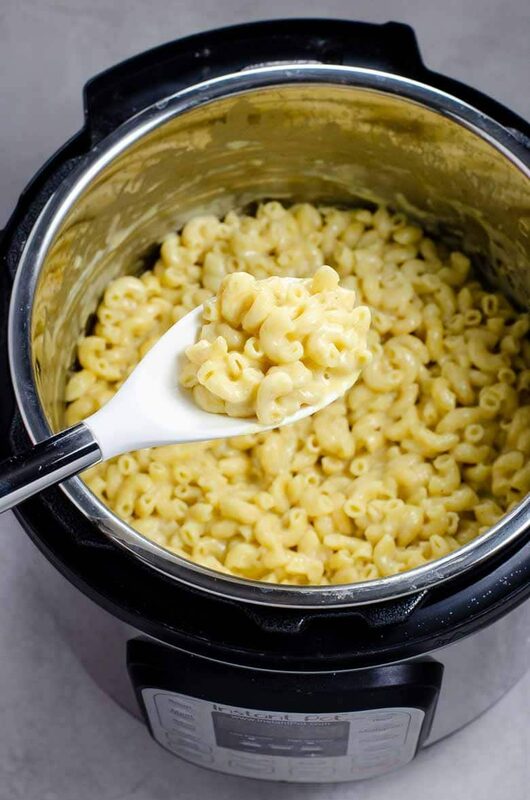 It's everything for the texture of this Instant Pot mac and cheese recipe. 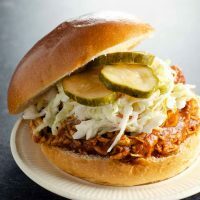 Umami Girl's best easy, delicious, and well-tested recipes for the Instant Pot electric slow cooker. 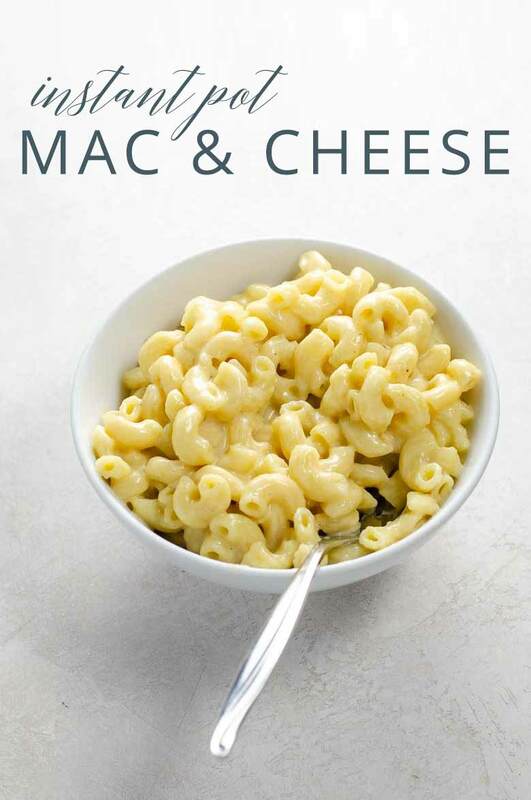 Instant Pot mac and cheese could not be easier, creamier, or more delicious. Our version incorporates the classic flavors of homemade macaroni and cheese with a combination of aged gruyere, sharp cheddar, and parmigiano cheeses, plus dashes of Dijon mustard, nutmeg and cayenne. Place macaroni, broth, shallot, mustard, nutmeg, cayenne, salt, and pepper into Instant Pot and stir. Stir in milk and cheeses until cheese is melted.